EZneeds was founded on the mission to being your one stop for making life easier by delivering your everyday needs to your doorstep regardless of where you live. What is the most important need that is vital to our survival? Water! For every case of water purchased from EZneeds.com, we will donate $1 to our "EZneeds Campaign for Water." Anyone is welcome to donate at anytime. Why fundraising goal of $12,000? That is the amount to sponsor an entire water well project. 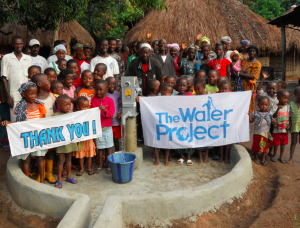 We can provide clean, safe and reliable water to a community in Africa together! 05/01/17 Anonymous $500.00 Great cause!